We get it. When people think of skateboarding they think of emergency rooms and getting caught in the wrong crowd. We are here to tell you about some unexpected benefits to skateboarding that you may have missed. The preconceived associated with skateboarding is that it is so much more dangerous than other contact sports. According to a sports injury study, out of over 200,000 participants and 20,000 injuries recorded, skateboarding only accounted for 399 of the 20,000 injuries (2%). Sports included in the study were basketball, soccer, football, baseball, ice hockey, archery, and fourteen others. Comparatively, skateboarding is not nearly as dangerous as it is perceived. 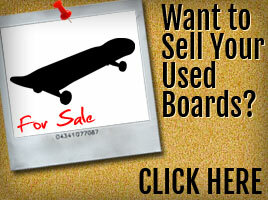 Skateboard For Kids is a resource to prevent injury. 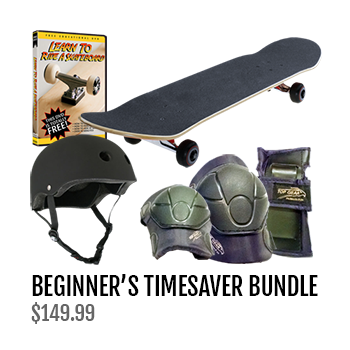 We sell helmets, wrist guards, elbow pads, and knee pads, a demonstrative DVD to teach proper technique, and even an indoor practice board. Similar to other sports, health benefits are obviously correlated with participating in a physical activity. Skateboarding health benefits are slightly different than those of common youth sports like football, soccer, and basketball. Skateboarding offers an array of advantages including coordination, pain tolerance, stress relief, precision, reflexes and patience. Coordination – Skateboarding improves hand, eye, leg and feet coordination. When skateboarding, you need to alter your movements so you skate smoothly and accurately. Pain Tolerance – Other sports improve your pain tolerance, but learning how to skateboard includes constantly falling, tripping, cutting your knees and elbows, etc. Believe it or not, this helps to improve your tolerance and build up resilience. Stress Relief – Stresses consume people, even kids, all the time. Skateboarding is an avenue to relieve some of those stresses or frustrations. Precision – Skateboarding takes a lot to pick up on. You are constantly adjusting weight from one direction to another, switching your speed, and, when good enough, perfecting tricks. Reflexes – This one ties together with coordination. When falling or stopping quickly, you need to have quick reflexes to brace yourself or prevent a collision from happening. You learn quickly that running into a railing is not ideal. Patience – Skateboarding, like other sports, requires an immense amount of patience. You will not be the next Tony Hawk after your first time on the board. Falling countless times, missing that tricky bend, and hitting that awesome trick will test your patience time after time. Historically, studies and statistics have shown that youth sports have a positive impact on growth and character. Sports also keep kids out of trouble in their community and in school. A 2015 study has shown that at-risk teenagers from urban areas, have virtually the same chances of being involved in criminal activities as they are to graduate high school. Statistics prove that sports can prevent this. Many kids turn to basketball, football, baseball, or other related sports. A sport that people tend to forget about is skateboarding. 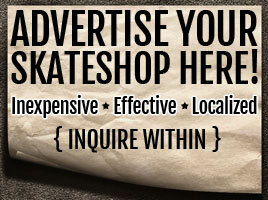 Just like the above sports, skateboarding offers physical benefits and keeps you out of trouble. An example that hopes to bridge the gap between teens and local police comes from our friends up north. Just this September, an officer and skateboarder at heart, Thierry Hinse-Fillion, is Canada’s first “skateboarding cop”. Hinse-Fillion pushed this idea for years before it was finally approved. His overall goal was to relate to the local youth and make them feel safe in their community. Thus far, it has been very successful and the kids enjoy learning new tricks and viewing him as a mentor.